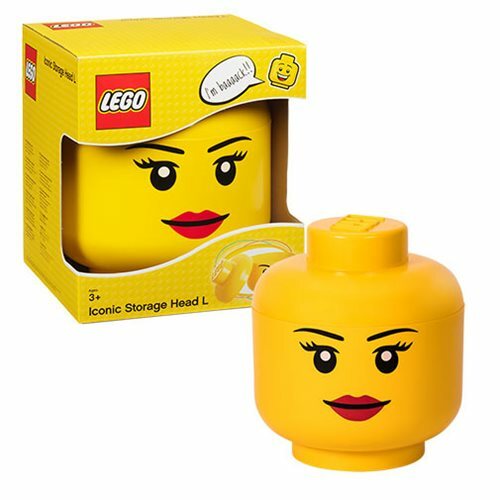 The LEGO Large Girl Storage Head is an enlargement of the head of the iconic LEGO mini-figure. It can be used for storing LEGO bricks, other toys or even fruit. The iconic Large Girl Storage Head stacks perfectly on to LEGO Storage Bricks 1, 2, 4 and 8 (sold separately). The LEGO Large Girl Storage Head measures approximately 10 3/4-inches tall x 9 1/2-inches wide x 9 1/2-inches long.